Soho Photo Gallery: 15 White Street is having a pop-up gallery event with The B&H Event Space this Wednesday (7/30) and Thursday (7/31) from 1pm-6pm. It will show the work of 54 “event spacers” and I have one or two or three pieces in it. The exciting thing is that I won’t know how many until the show opens. Part of the pop-up vibe! There is a party Thursday evening from 6-8 to celebrate the conclusion of this year-long event. I may not be there since I am booked for a shoot (the freelance life) but go down and celebrate for me – or with me if we break early. I am always impressed by the dedication and drive shown by so many young artists who still come to New York City, despite the insane cost of living here, the destruction of the classic “art neighborhoods” in favor of Hedge Fund Condos, and the sheer amount of noise and distraction that stomps their chance of being heard. They still come and scramble and scrounge and work and work and practice and work to do their work. Last night we took Lynn Seville’s NY at Twilight class to Central Park. 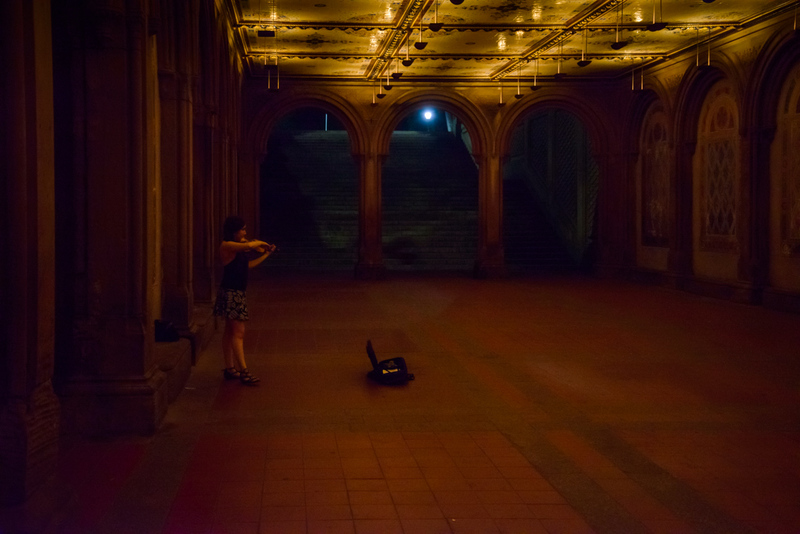 At around 9PM on a Sunday night, which is perhaps when the park is at its slowest, a young lady showed up and began to play. Her case was open, she was busking but very few people were going to walk by. She was also rehearsing in one of the truly beautiful spaces in NYC. It looks great and it sounds great. She was an excellent player. 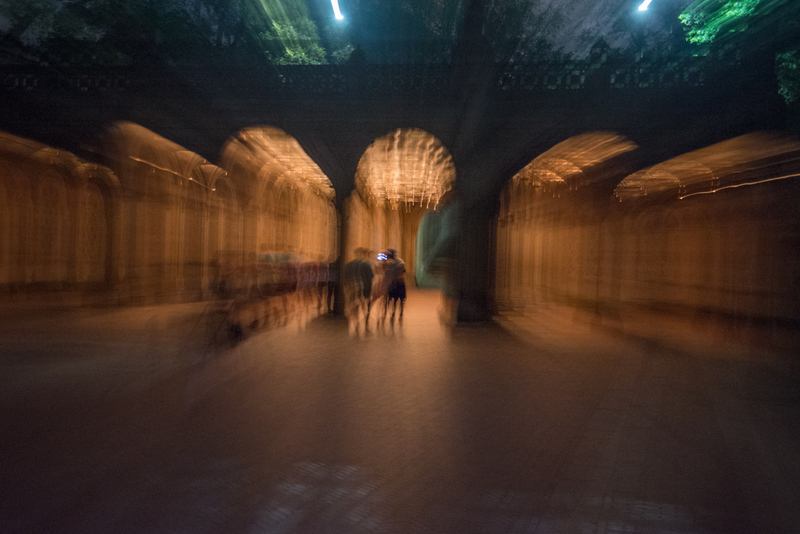 This entry was posted in Photography and tagged B&H Event Space, busking, Central Park, Lynn Seville, postaday2014, Soho Photo Gallery, The Hudson River, young artists. Bookmark the permalink.